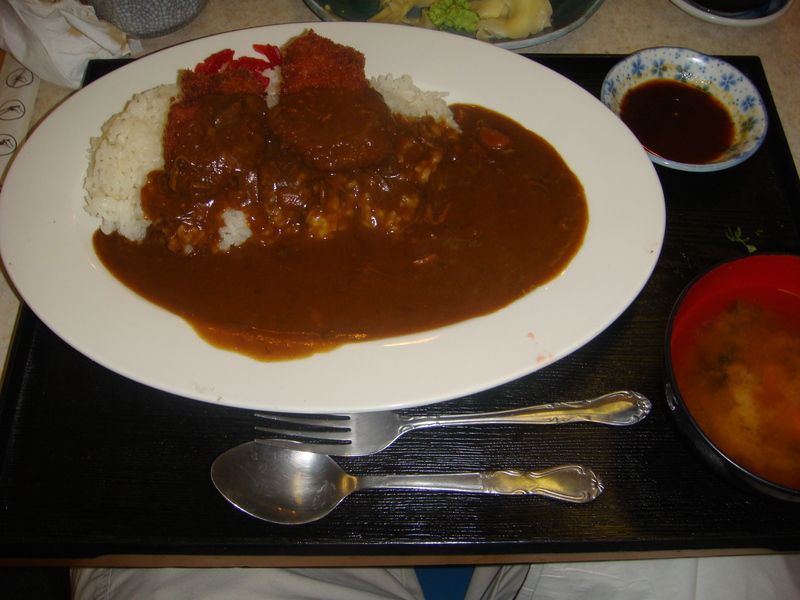 I think one of my favorite places to eat in SJ Japantown is Kaita. 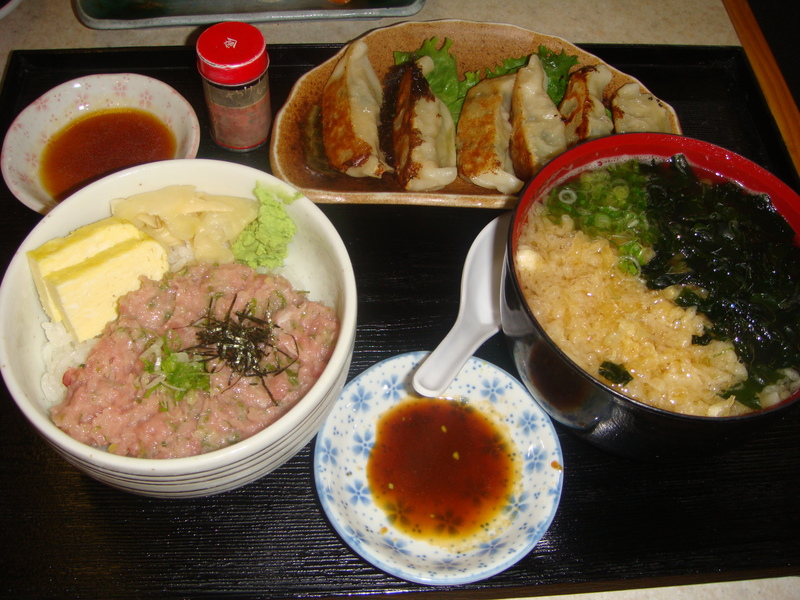 They have great lunch specials and are one of the more authentic Japanese restaurants. The last time we went, Boyfriend and I both ordered the poke don / udon lunch combo. It was excellent. Boyfriend got some tonkatsu curry special and since we were hungry, we ordered hamachi and salmon nigiri and also a side order of gyoza. The gyoza were excellent and the fish was very fresh! I know Boyfriend really enjoyed the poke don the last time we went… I can’t wait to go back! P.S. It gets quite crowded at lunch sometimes so be prepared to wait a little while. Contrary to popular belief, Boyfriend and I do not go out to eat all the time. In fact, we cook quite often! Boyfriend is quite adventurous and loves trying new recipes. He actually watches the Food Network way more than I do. 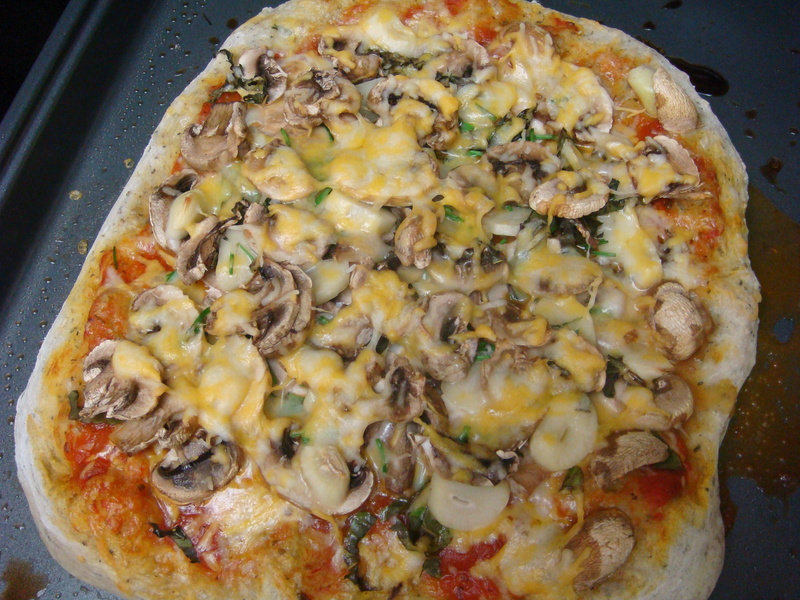 I’ve been on a pizza kick for the past week and a half and we decided that it’d be great to make our own pizza at home. 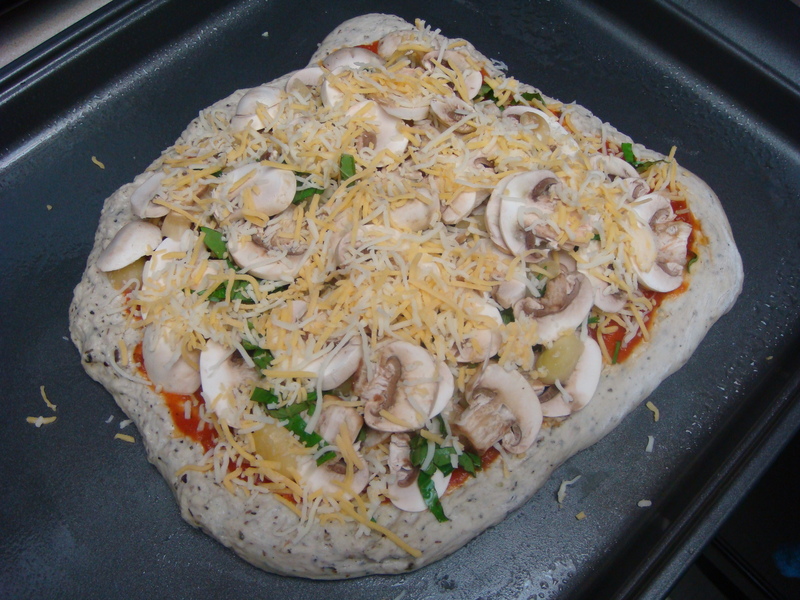 We bought Trader Joe’s “garlic and herb ready-to-bake pizza dough” and started from there. 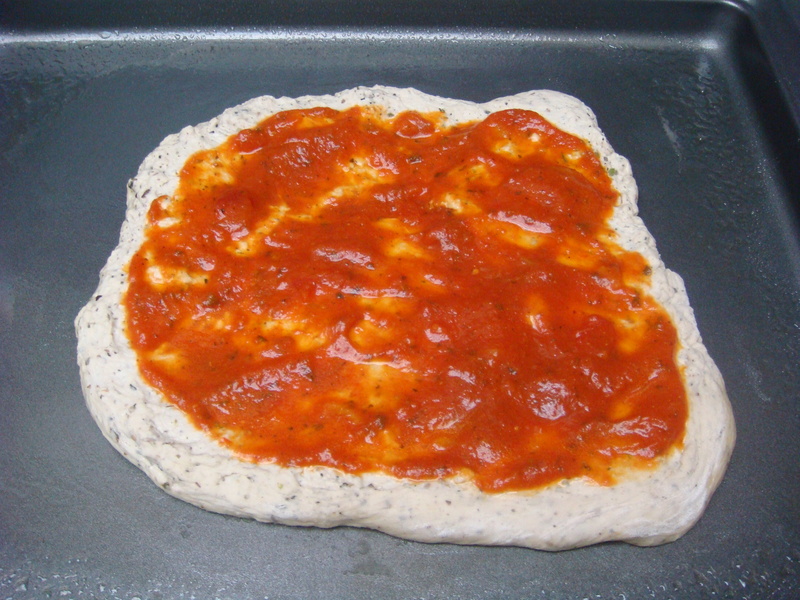 After letting the dough sit for 20 minutes, I shaped it on the baking pan with some flour. I used my hands because we don’t own a rolling pin and this is the shape we ended up with. 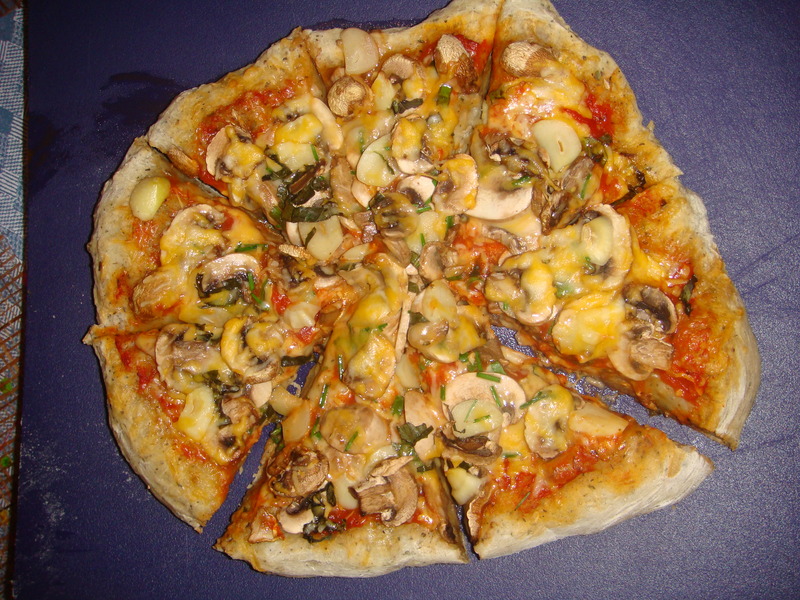 I always order mushroom pizza when I go out to eat so Boyfriend was kind enough to oblige to a meatless pizza. We also added garlic along with basil and garlic chives from my herb garden. We went to Tanto the other night with my parents and ordered a bunch of delicious food! The only thing I wish we could’ve returned was the kabocha gratin. I’m not a fan of gratin to begin with and this was no exception. The kimchee ishiyakai gohan, okoge – ebi to nasu ankake, gyu tan, shiyo yaki tebasaki (chicken wings), and wakame salad were all great!! Boyfriend and I had actually ordered three of those dishes the last time we went and we liked them SO MUCH that we ordered them again with my parents for them to try. We went down a little alley and stumbled upon B44. (we actually had reservations so it was not by accident as it may seem) Boyfriend had never had Spanish cuisine before so we decided to try it out. 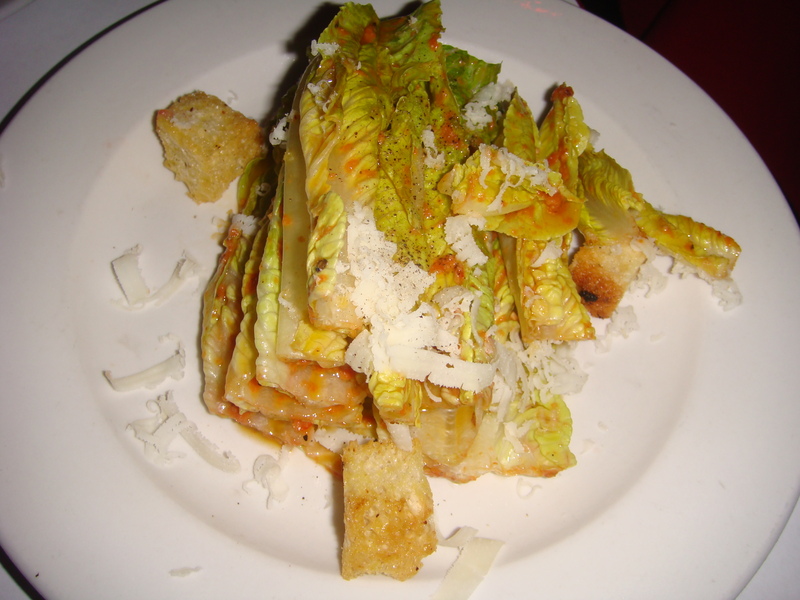 We started out with a romaine salad to share. Despite the odd looking picture, this salad was great! It was refreshing and flavorful. 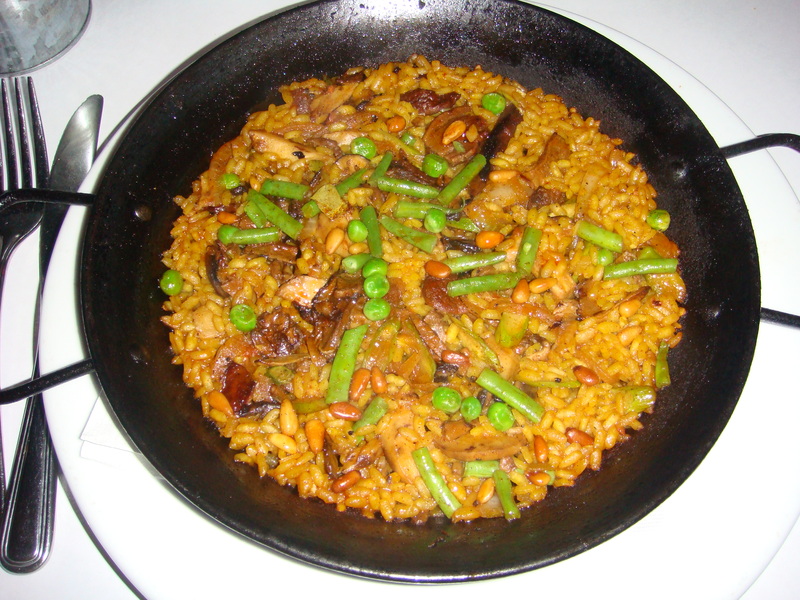 I went with a vegetarian paella which came with pine nuts, shiitake, green beans, peas and other assorted vegetables. It was an awesome choice and had a bunch of eclectic flavors all in one. 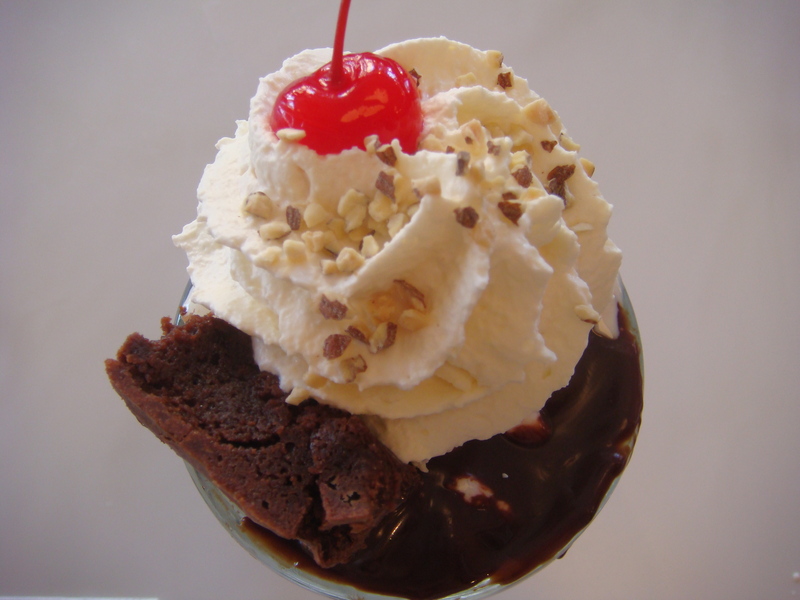 What would a trip to SF be without stopping by Ghirardelli Square?!? 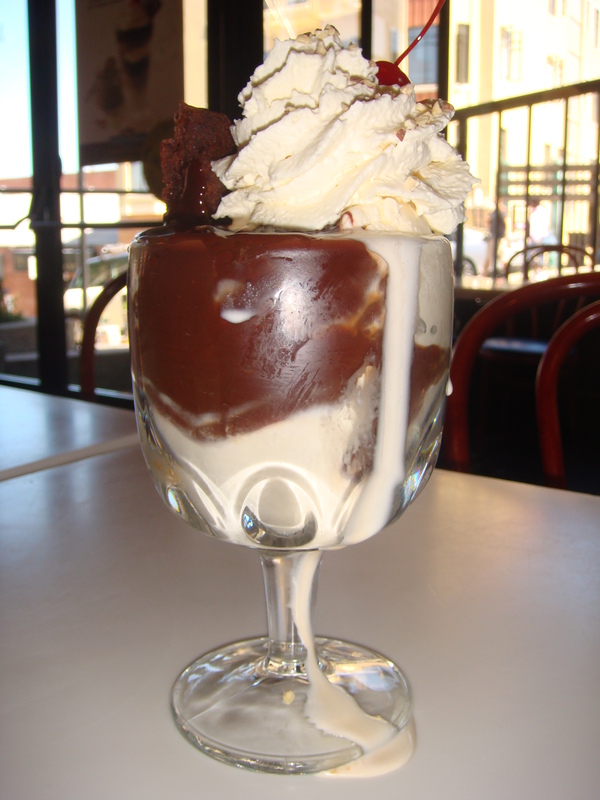 To be completely honest, the sundae was a little too rich for me so I stopped eating about halfway through. I think next time, I will just go for ice cream in a waffle cone. We saw someone walk by with one and it was humongous! 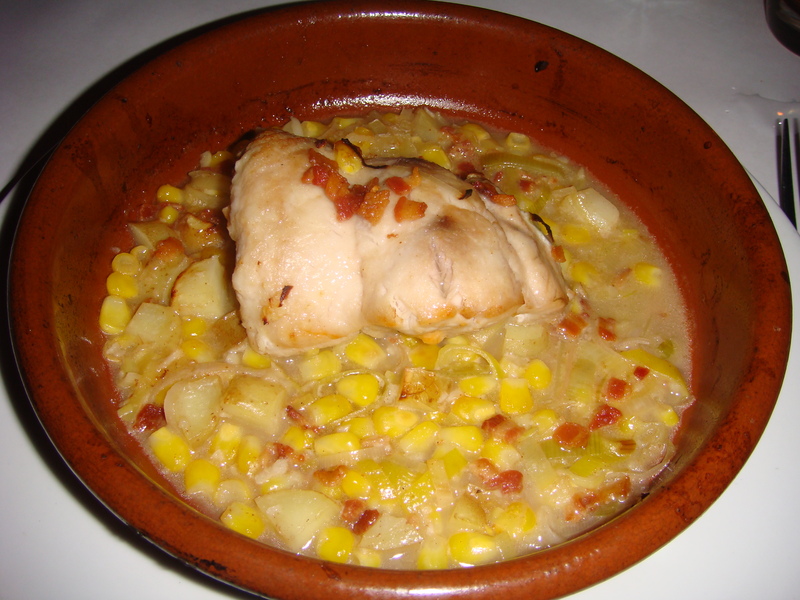 You are currently browsing the For the Love of Food weblog archives for September 2008.